What a week.....what a week. I keep saying we need to slow down, but life just doesn't let us. We had a 3 day school week this week. We did "school" on Monday, Tuesday and Wednesday. And then Thursday we ran some errands and went to some yard sales (since they were so conveniently exactly where we had to go to take Grandpa his meds). Friday we spent the day with Daddy before he left for a short trip to Tennessee. I think Friday may have been the most memorable day of the week...lol. Lydia was playing teacher with all the stuffies at the library. There was Barney, Clifford and Junie B. Jones. Joey had his guitar lesson. They were playing a bit outside. 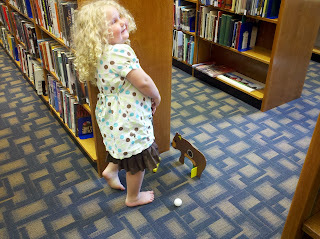 At storytime, they played animal golf. 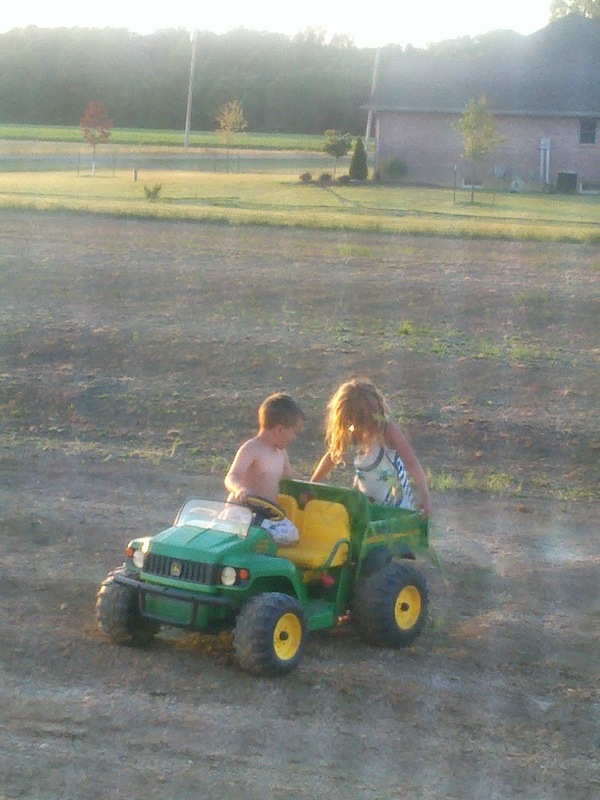 Lydia is playing with her friend Zachary. She so loves going to play with Zachary and Tyson. Lydia is still working on reading. In math she is working on addition facts, currently 0 and 1. She is really struggling with remembering sounds and keeping her brain on task. Wow!!! The boys specialist was not wrong when he said that ADHD in our house is genetically going to go through the kids like a common cold. In our case, I see it in the girls. Of course the boys are already on meds. I am still in a mental denial though with the girls....trying to keep them off meds as long as possible. We started our horse project for the Ohio State Fair. And also memorizing her address and phone number, which so far she has not found it necessary to remember. She just doesn't care whether she knows it or not. Of course Lydia also had the frog dissection this week. And a really neat creek to play in. The microscope got a lot of attention this week. Joey worked on his platypus project from Homeschool Share. He practiced his multiplication facts, and his handwriting of course. He took pictures for his 4H project pack, and attended his first 4H meeting. Brayden didn't have an extra project this week. He is doing some extra thinking activities in workboxes that would have had projects. He is happy and doing his work, so I am not arguing. He was super excited to put together his puzzle for the the millionth time. He can do 100 piece+ puzzles, but wants to get high fives for finishing this one. Caty is working on the Letter K. A little difficulty in distinguishing upper and lower case K. But she is enjoying the activities. She also worked in her Mickey Mouse pack from 1+1+1=1. And we started working on the On The Farm pack from 2 Teaching Mommies. She'll finish these next week. And then we'll start more fun packs!! Brayden working on a large seek and find page. An I'm Bored activity. A bike/toy car wash int he back yard. Then we marked another item off our Summer Bucket List...sponge fight. Lydia pretending to be a chicken that is laying sponge "eggs". Then we got home Friday and had a family Nerf battle. It was daddy, Joey and Caty....vs. Somehow Joey and daddy got the better guns, and they were on the same team. Unfair to Lydia and I. Then we started to play noodle hockey...but we were all too tired from strawberry picking and the Nerf batter. So we enjoyed homemade strawberry ice cream instead!!! It's coconut milk, sugar and frozen strawberries pureed and then put into the food processor. Everyone had 2nds.....yummy!!! As I mentioned earlier, Joey and Lydia attended their first 4H meeting. Lydia is a Cloverbud and Joey will be working on the Photography project pack. Not sure what he will pick next year. We worked on a schedule and I discovered that writing it on paper, doesn't mean that it will happen exactly like you want. Lydia is struggling finishing work. So I thought if we had a schedule, maybe it would help. She seems to crave a bit more structure than the boys. So I figured...why not try it. We seemed to be running behind on all the days we used it. We are going to make sure to continue working hard on this though. It will be an ongoing learning experience for us both. It was a good week, with only a few things not completely started/finished. That would be history and geography. We'll catch up..lol. 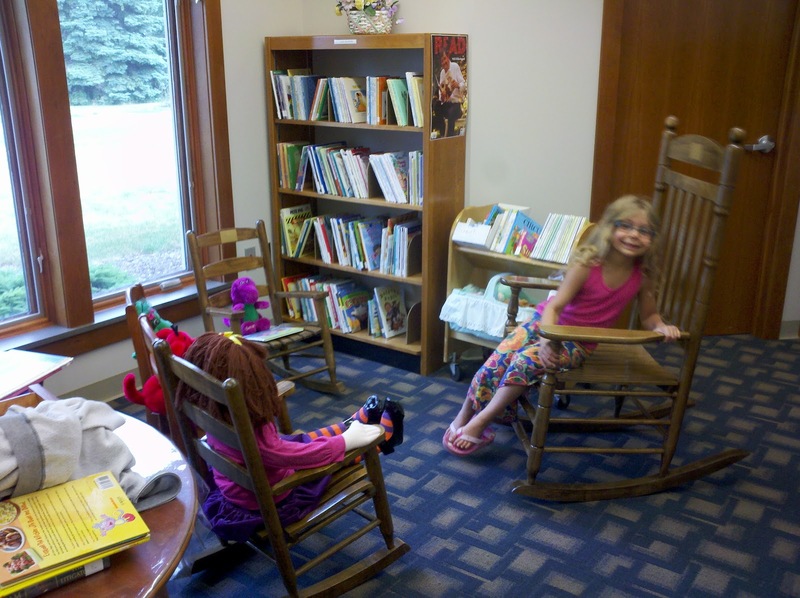 Linking up with other families at Weird Unsocialized Homeschoolers. Your week looks SO fun! 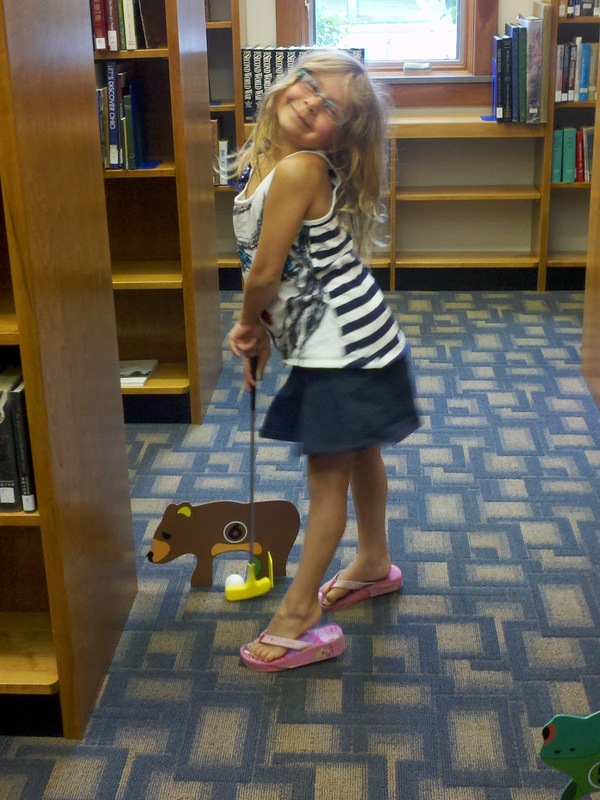 My fave photo is definitely the one Lydia posing with her golf stick! 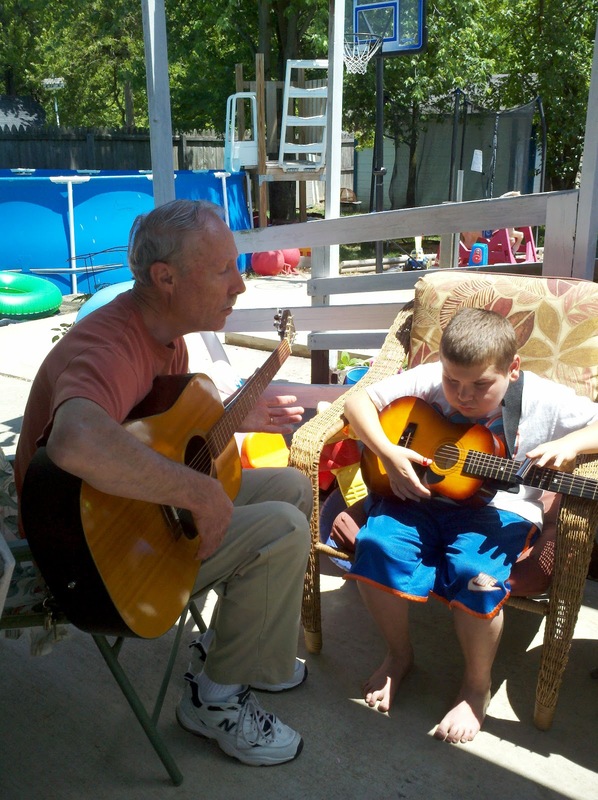 LOL Runner up is the outside guitar lessons. SO cute. I love capturing these memories with our kiddos!